I’m actually a fully qualified joiner and carpenter and that’s what I’d done for most of my working career up until I joined Red Rock. Lewis and I are old friends and it was on a snow boarding holiday I asked him if I could have a job. I was concentrating more on my photography and I needed to fill in the time with part time work. As it happened Lewis needed a delivery driver and general brewery hand so that’s what I did initially for just a few hours a week. As the brewery has grown and become more well known, we went from one day to three days of deliveries per week so over time I increased my hours and spent more time on the road. Now I am full time and responsible for sales as well as delivering which is great because I get to see it through from the initial order to the delivery at the end and I get to know our customers on a more personal level too. Being a family run business, there’s lots of passion for what we do. We have a great team dynamic here. I’ve known Lewis and Hollie since school so helping them succeed and fulfil their plans for their business is more than just a job to me. Another perk of the job is getting out and about in the South West, which is beautiful part of the country. I can often be on the coast for one drop and then on to the moors for the next so I’m really very lucky. What’s your favourite Red Rock beer? Traditional ales would have to be Rushy Mede and Capstan and I also like our craft Pilsner. Sharing a few bottles on the Back Beach at sunset in my home town of Teignmouth but if it has to be a venue I’d say the Tap House here at the Brewery as it’s pretty much my local. One of my great passions is photography. It’s a hobby that’s kind of grown into a part time business. I do family shoots and weddings/celebrations which keeps me busy at the weekends. When I’m not doing that I’m spending time with my family. I also like sampling new beers from my local region but also across the world. 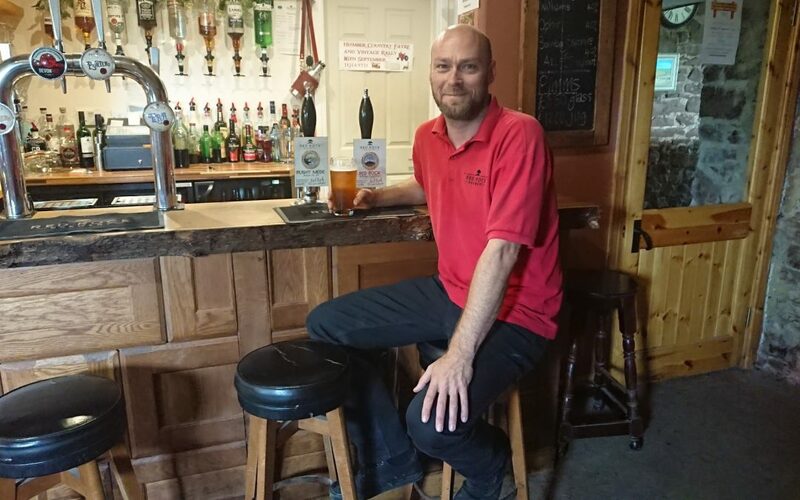 I have a dedicated sales line 07757687174 and email orders@redrockbrewery.co.uk or you can just catch me when I’m out and about on the road.